The old medieval Archbishop’s Palace is west of St. John’s Cathedral; it was finished in the late 15th century. 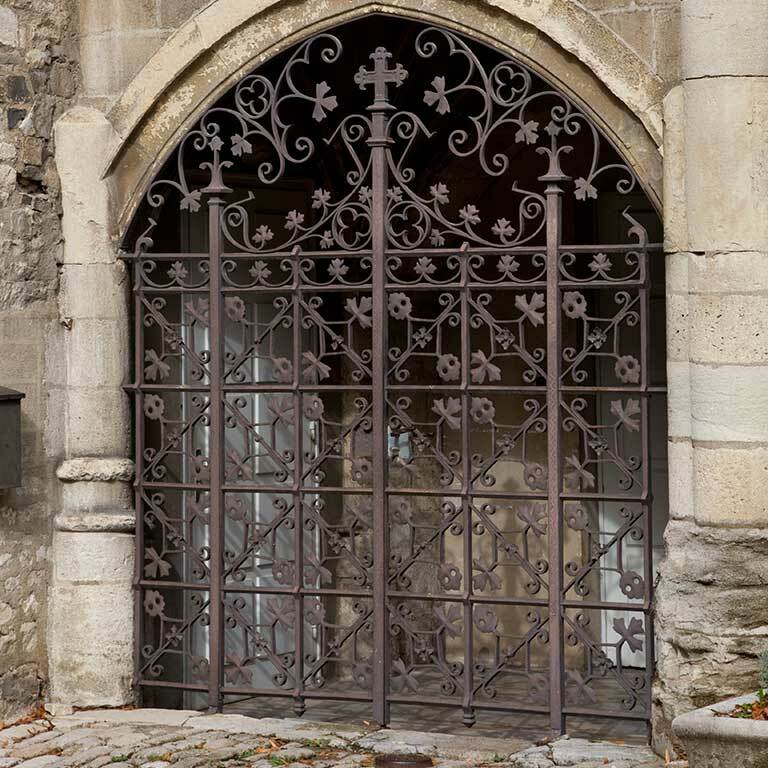 The archbishop’s apartments were on the ground floor of the right wing, and the entrance was cut out of the stone beneath the outside staircase. 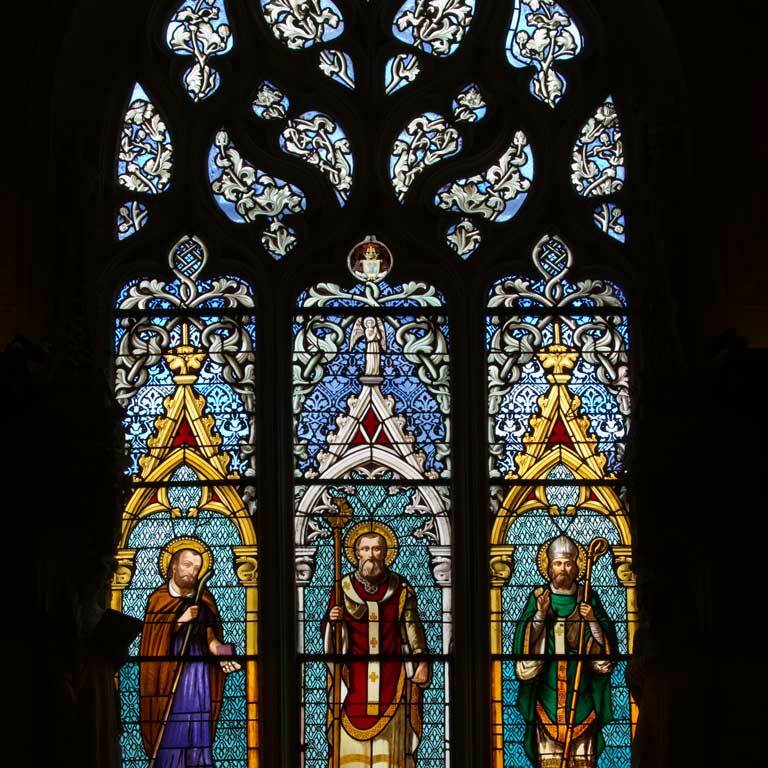 On the first floor of the left wing, there is a large stained glass window, showing that here was a chapel, dedicated to Saint Nicolas. 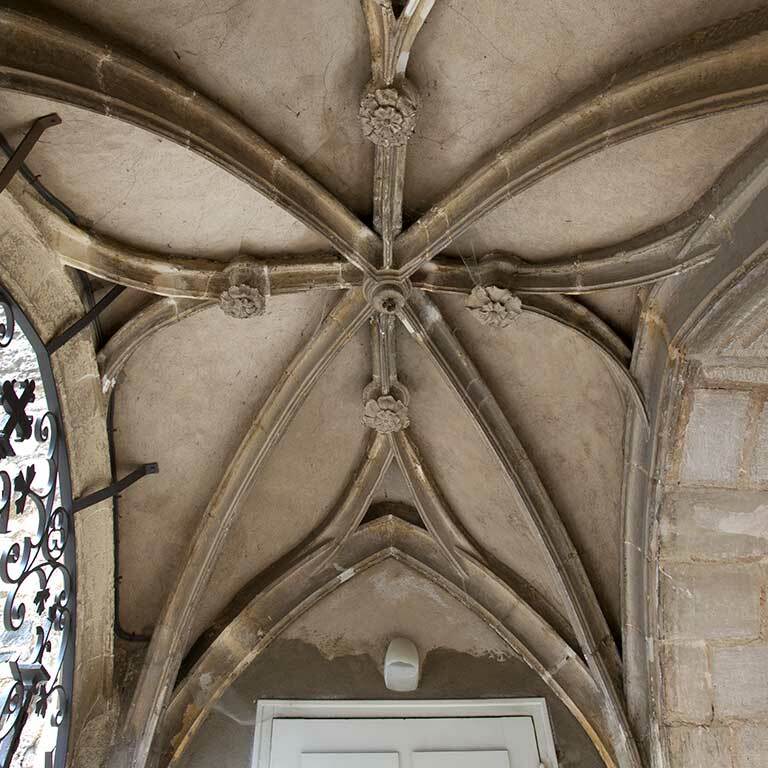 On the first floor of the right wing, accommodation was provided for the archbishop’s guests. 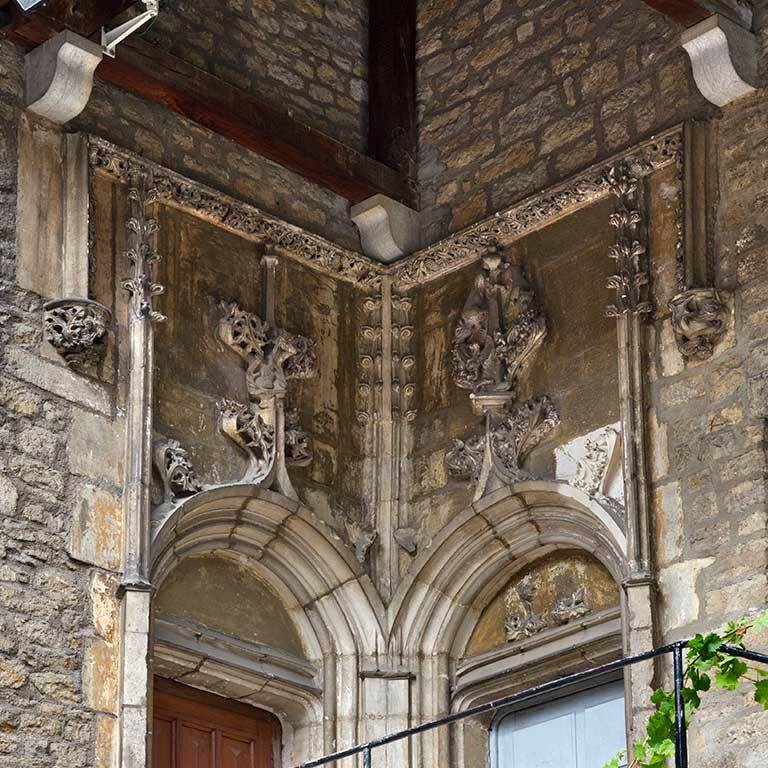 Note the richness of the decoration over the two doors located at the top of the stair: their curving lines, decorated with cabbages and thistles, belong to the Flamboyant Gothic style, so-called because of the flame motifs often used during this period. 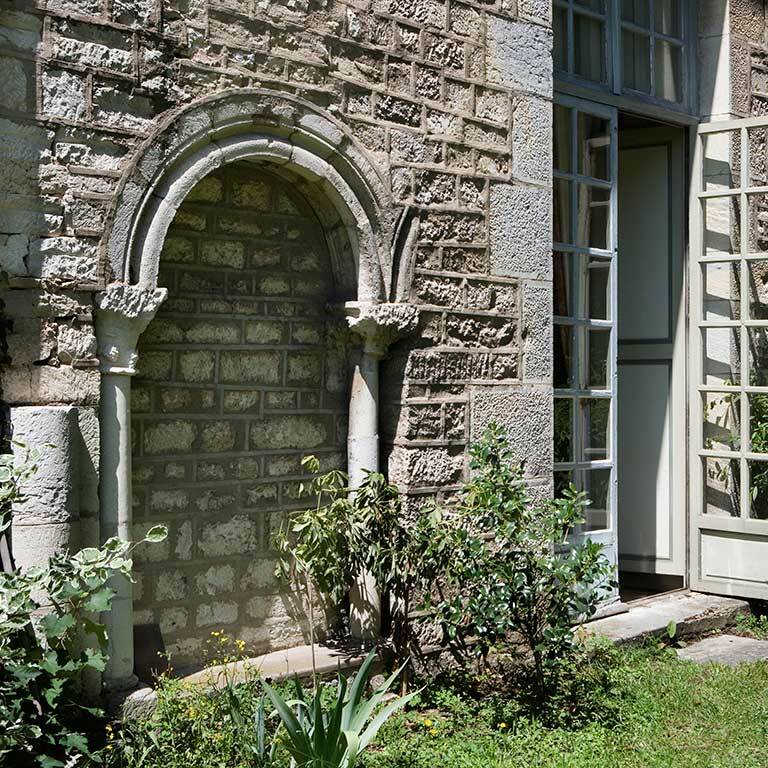 As you go back to rue de la Convention, look to your left, and you will see the remains of arches in the garden and under the porch: this is what is left of the pre-12th century canons’ cloister.